All the frost hardy qualities of the above. 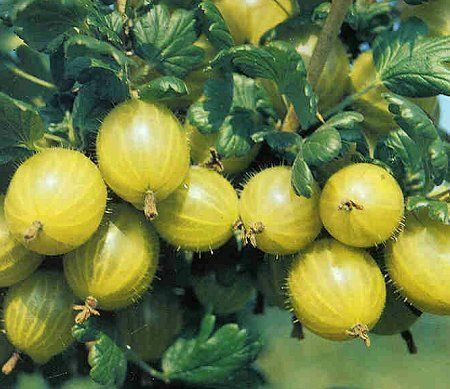 The fruits are a pale yellow, medium to large with a lovely flavour. Good Mildew resistance. Bushes are rather more compact but spreading.